The official word on being green is that it’s not easy, but we’re not so sure that’s always the case. There are a lot of cases where green is great. Everybody likes seeing the traffic light turn green, for instance. “Going green” is generally considered to be a positive thing, as is “raking in the green.” Heck, even the singing frog himself acknowledges that it’s the color of Spring, and mountains, and oceans, before finally deciding that it’s not the worst thing to be. 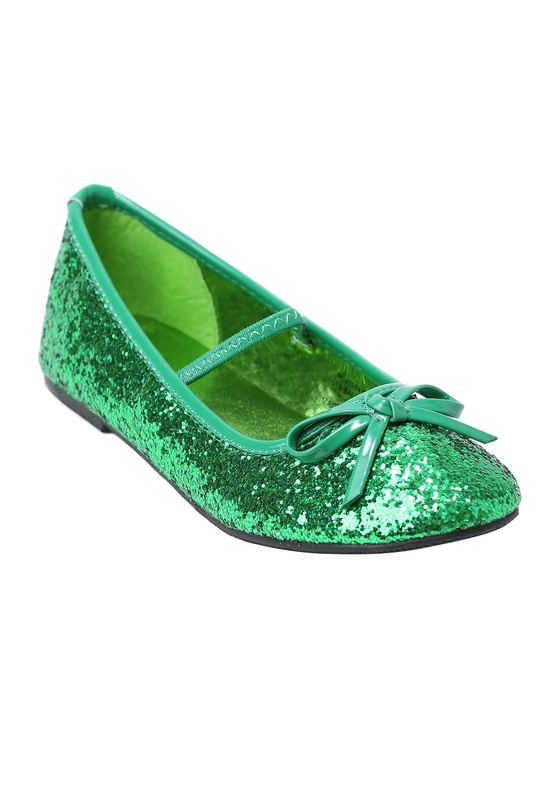 So it’s decided: green is good, and these snazzy ballet flats are too. These synthetic slip-ons feature a sea of sparkly sequins, with an elastic strap and a bow on the toe for added style. 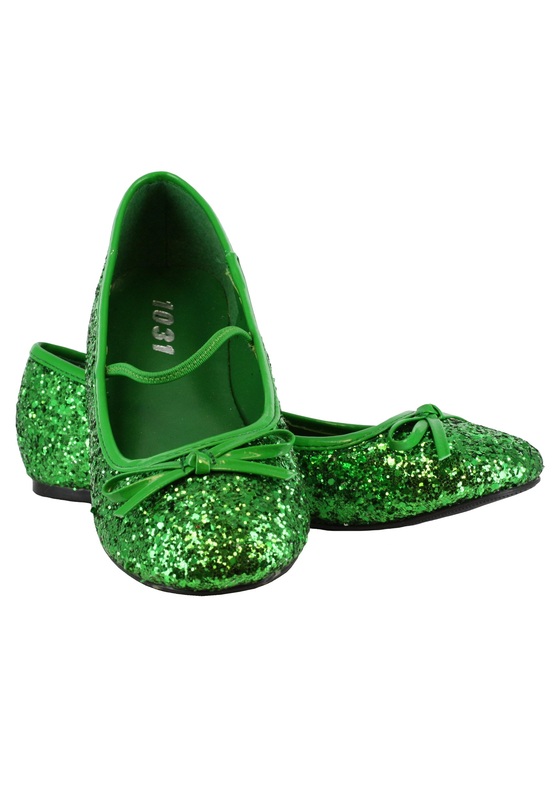 A textured anti-slip sole keeps you moving easily whether you’re dressed up for Saint Patrick’s Day, making the rounds as a twinkly princess, or just feeling generally green and glittery. We might even go so far as to say they’ll make everybody else green with envy.